This comprehensive manual thoroughly covers every aspect of French grammar, from the basic to the most advanced level, and illustrates the grammatical structures with useful, practical and interesting examples. Up-to-date language and usage both on the formal and on the informal level is paired with cultural information about France, making the study of grammar a pleasant experience. The book offers its users clear and detailed explanations, as well as the opportunity to practice their reading, writing and speaking skills in numerous oral and written exercises, which include translations, suggestions for communicative activities with a partner, and topics for written composition. 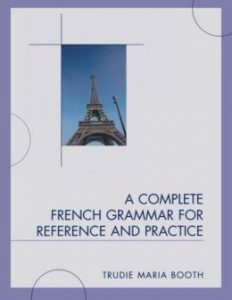 A Complete French Grammar for Reference and Practice can be used as a classroom text in intermediate and advanced courses, as well as for reference and self-study. It is a reliable source of information for teachers and students alike, and addresses all those learners who want to speak and write French correctly.